Register early (before December 8th) for the biggest discount and receive a special exclusive gift not available for white or blue registrants, in addition to the event swag bag. White Box registrants take advantage of a $10 discount by registering before December 25th and receive an event swag bag. Blue Box Registrations are accepted between December 25th and January 10th. OUR APOLOGIES - DUE TO THE SNOW/ICE FROM A STORM ONLY A FEW DAYS AGO, WE ARE FORCED TO CANCEL THIS EVENT. TRAVEL ADVISORIES ARE STILL IN EFFECT AND WE DO NOT WANT ANYONE ON THE ROADS ON OUR BEHALF. WE WILL BE MAKING AN ANNOUNCEMENT SOON AS TO WHETHER THERE WILL BE A NEW DATE. 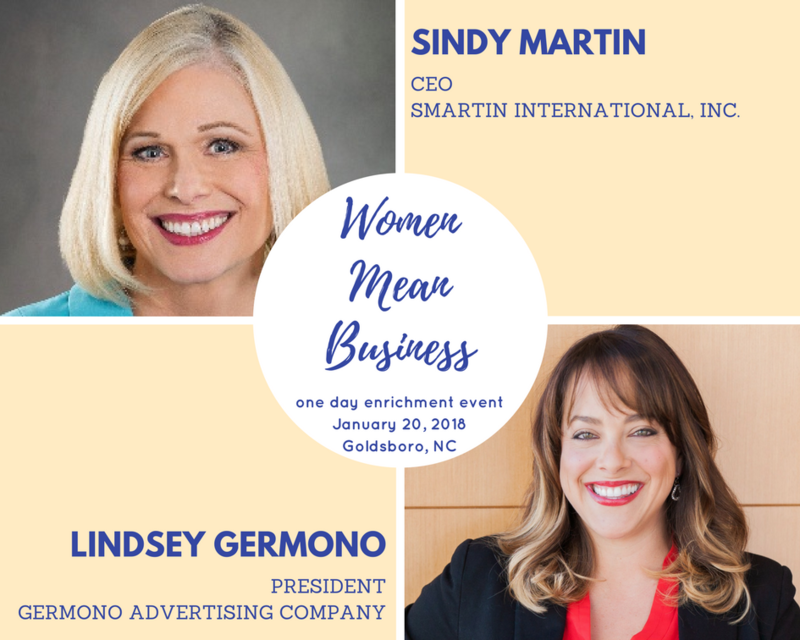 Join us for a day full of networking, learning and laughing with two fabulous speakers, Sindy Martin and Lindsey Germono in the beautifully historic Wayne County Museum, in downtown Goldsboro, North Carolina. 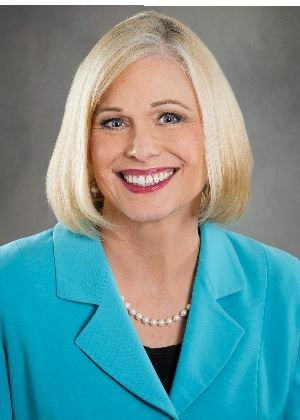 Women Mean Business is a one-day enrichment event and fundraiser to benefit Women Joining Forces in NC grant program. 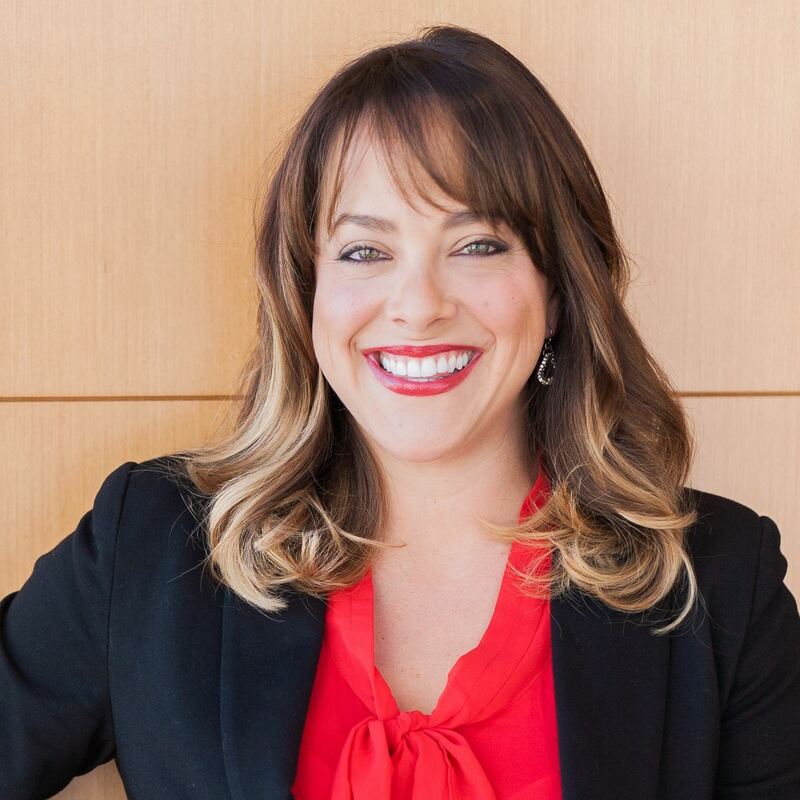 Women Joining Forces Grant Program - annually offering grants to military-affiliated women in business. *BPW/NC Winter Meeting will be held during this weekend event. TBD. BPW/NC has partnered with Hilton Worldwide for the Women Mean Business event. The select hotel for this event is: Hampton Inn, Goldsboro - 905 North Spence Avenue, Goldsboro, North Carolina, 27534. Telephone 1-919-778-1800. Reservations can be made through the link below or by the hotel directly. T *Individuals without confirmed tickets for the event, will not be able to take advantage of the discount code.